Good morning! 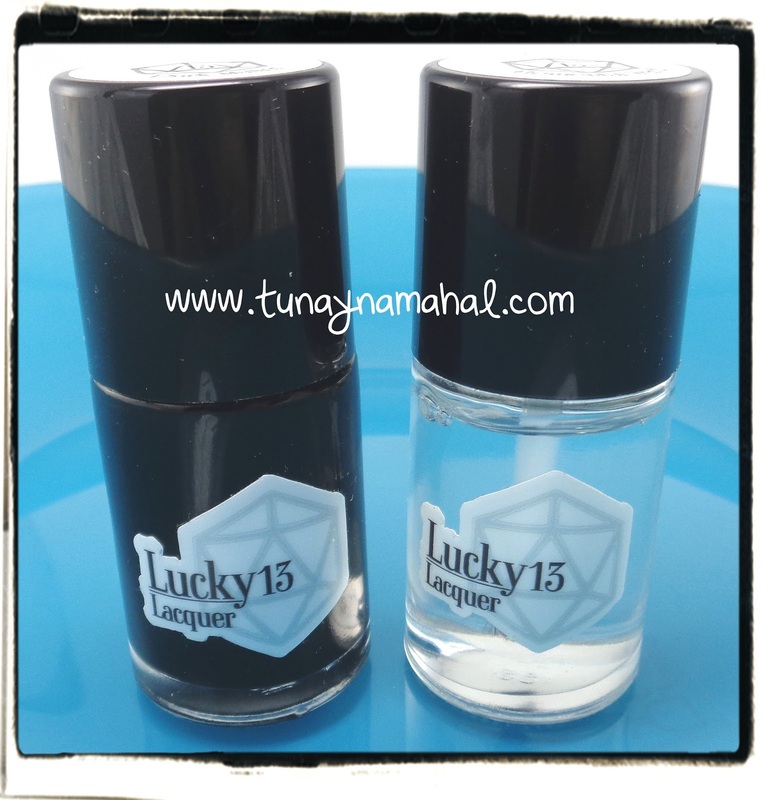 Today I have new to me brand I'll be sharing; Lucky 13 Lacquer. 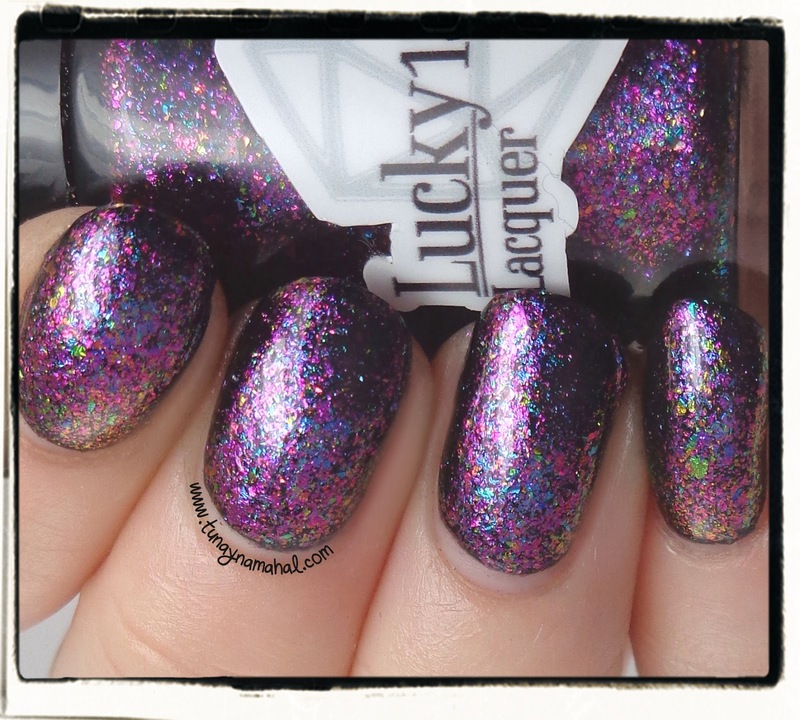 I was sent three colors from their new 'Out of this World' Collection, along with Elemental Ward, and Dark Matter. Dark Matter, is a black cream. I don't know if I have any words for how amazing this is! Literally a 1 coater. No streakiness at all like you find with other black creams. Perfect consistency. I didn't even have to do any clean up after I applied 1 coat because this polish stays in place and doesn't run. No staining either! Absolutely perfect! I will definitely be using this as a base for different polishes from now on. L-R: Dark Matter, Elemental Ward. Elemental Ward: Quick dry topcoat. (4-free, contains toulene). You know from reading this blog I am a die hard Seche Vite fan. I would be lost without the stuff because I'm too impatient to wait for my polish to dry. I tested Elemental Ward alongside Seche Vite on a few of my nails. They dried at exactly the same rate! And are even the same consistency, which I love! I'm super happy to have found an indie topcoat that is equal to Seche Vite. The only one that came close before I tried Elemental Ward was KBShimmer's Clearly on Top which is another amazing topcoat, but doesn't dry quite as fast as Seche Vite. I'm quite sure I will be buying a bottle of Elemental Ward when this one runs out. 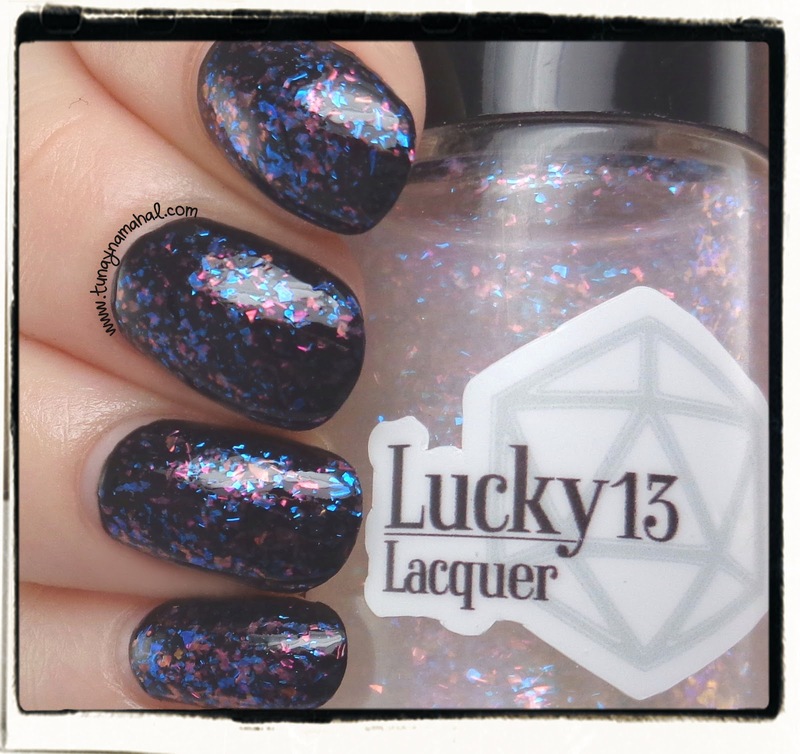 *All the swatches below use the Elemental Ward Topcoat. 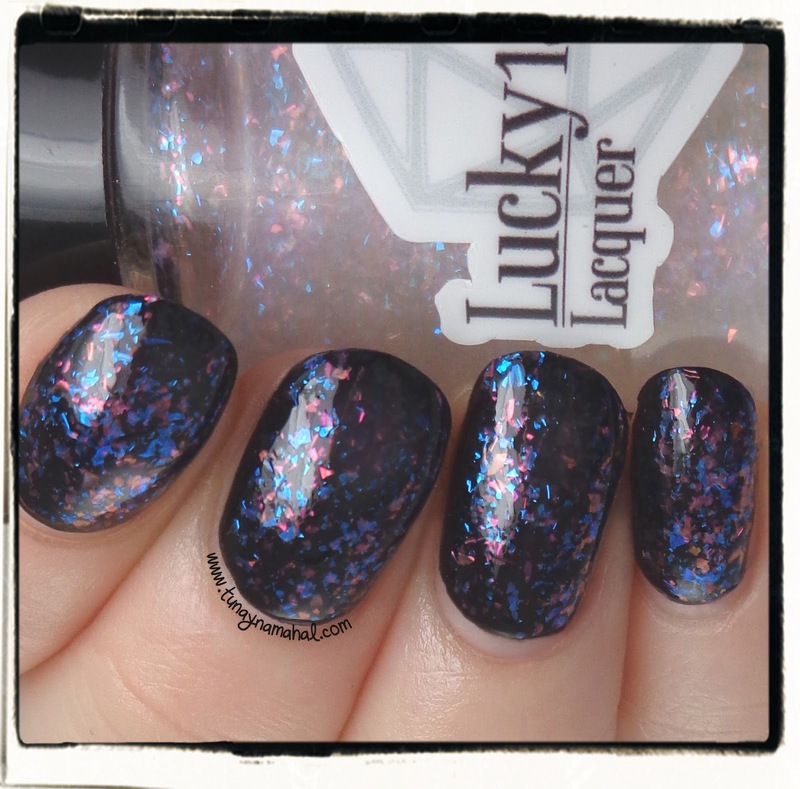 And now let's get to some of the pretties from the Out of this World collection! Supernova: Pink, orange, gold, and green color-shifting flake topper. I layered 2 coats over 1 coat of Dark Matter. This is my favorite! There are so many color shifts with all the little flakies! 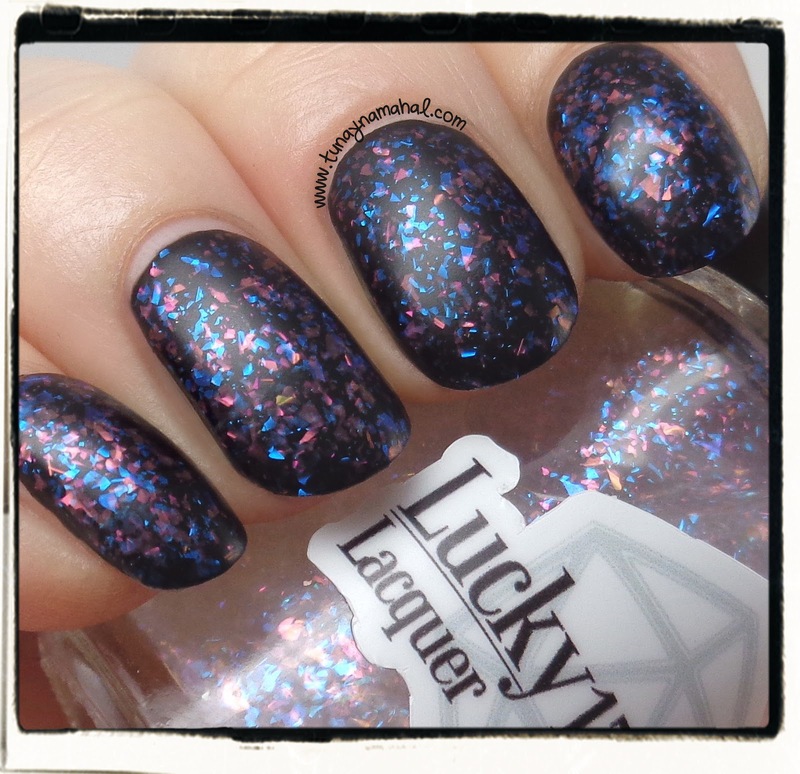 Neutron Star: Pink and blue iridescent flakes in a clear base. Very flakie dense! I used 1 coat over Dark Matter. I love how this looks with a matte topcoat also. I think this would also work as a great topper over other base colors. Star Stuff: Genuine silver plated flakes in a clear base. This actually comes off to me as a silverish-gold color. Is there a word for that? Gilver?! I think because it's so reflective. 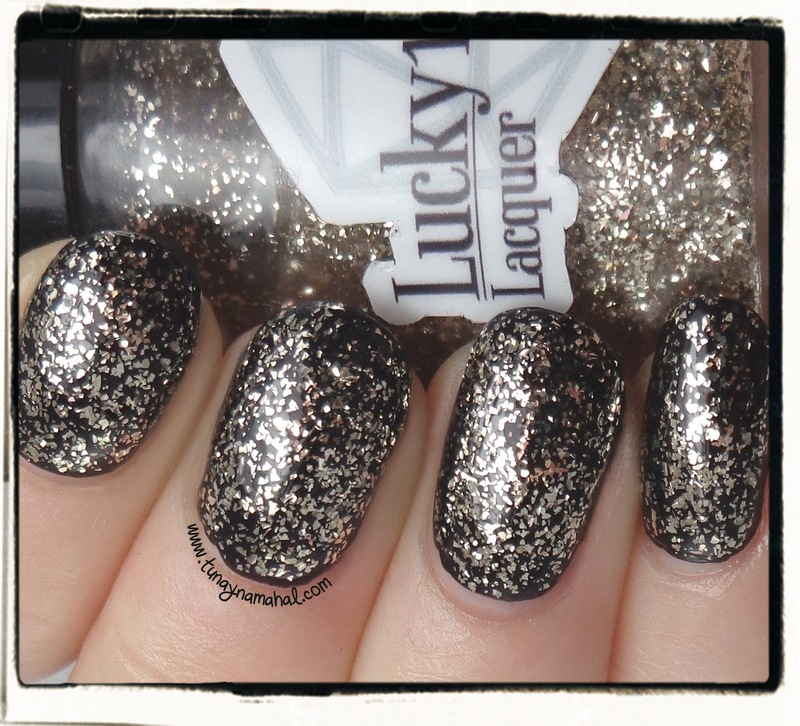 :) I also love that these are flakies instead of glitter. I don't own any other topper like this. I think it would also look amazing over lavender... a combo I need to try soon! I used 2 coats over 1 coat of Dark Matter. 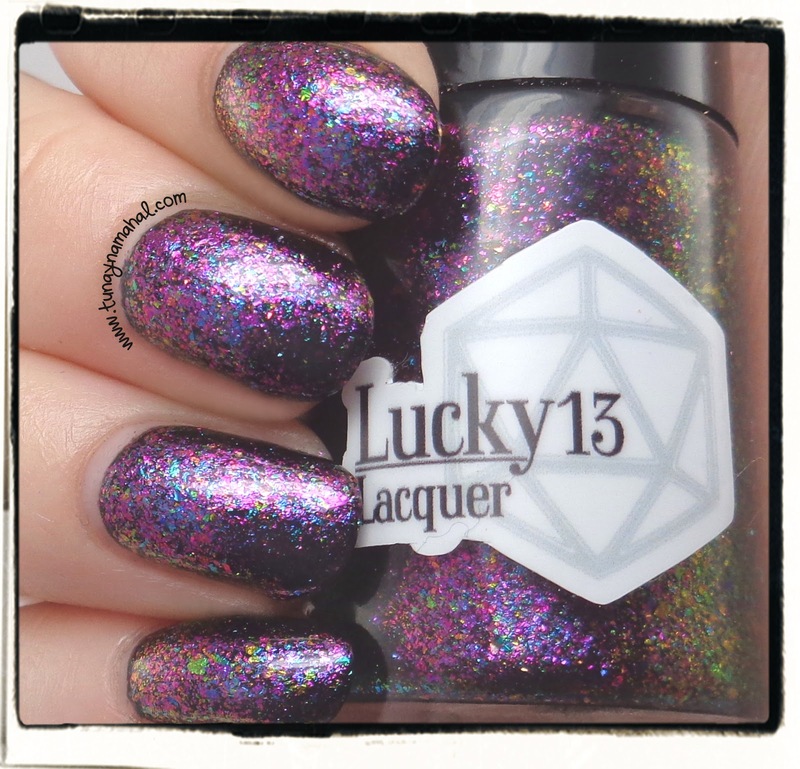 Lucky 13 Lacquers are always big-5 free, vegan friendly, and never tested on animals. 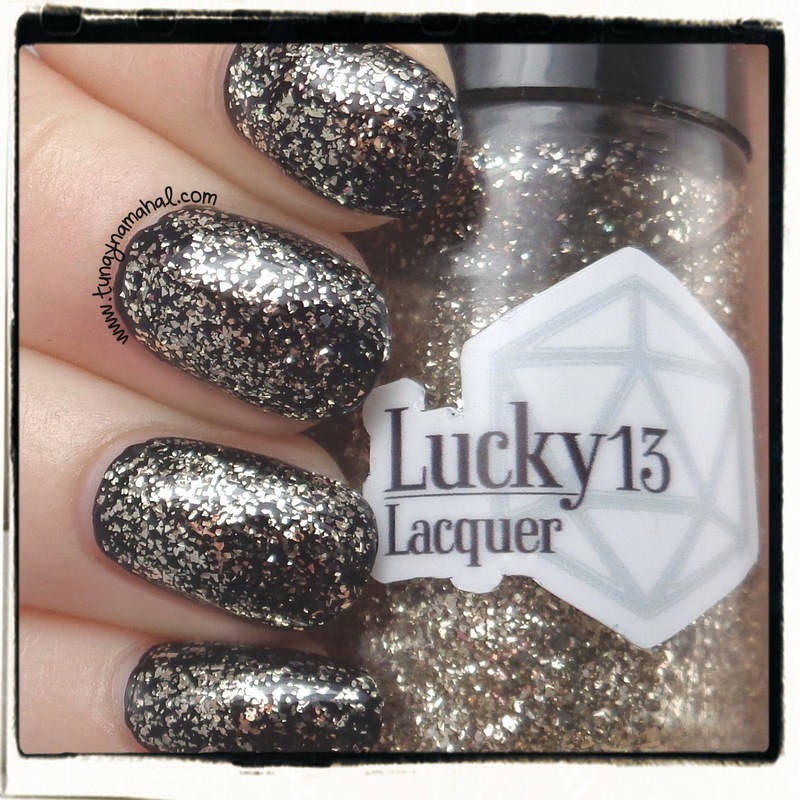 You can also find Lucky 13 Lacquer on Facebook, Twitter, and Instagram.